When deciding to homeschool, parents should be aware of the advantages and disadvantages of homeschooling so they can prepare for any challenges they may encounter. Before I decided to homeschool, I looked for solid research on the negative effects of homeschooling. Guess what? I couldn't find any. Responsibility. One disadvantage of homeschooling is that I am solely responsible for my children's education. If something goes wrong, I can't blame the teachers, the principal or the system. However, parents who use public schools are also accountable for their children's success or failure. Homeschoolers just have more influence on what the outcome will be. Time. Other than the occasional afternoon my children spend at their grandma's house, my children are with me 24 hours per day, 7 days per week. However, that is also an advantage of homeschooling. I have time to build memories and relationships with my children. Here are some other ways homeschool schedules help families. Freedom. I once dreamt of the day I would drop my children off at school and go to the grocery store alone, but I have since learned to be creative. By setting up a schedule, working on projects from home and joining a homeschool support group, you can avoid feelings of isolation and loss of identity. Here are some other avenues for homeschooling support. Inadequacy. Some parents don't believe they have knowledge or patience to teach their children. The good thing is - they can learn! Homeschooling has taught me how to keep my cool when the noise level becomes unbearable or my children spill paint on the carpet. Parents aren't perfect, and school teachers aren't either. We must give ourselves room to grow. Gaps in Education. I guarantee my children will leave home without learning some important fact, but even though I was a public school honor student, my son regularly asks questions I can't answer. Homeschoolers can't teach their children everything, but they can give them the tools to find out anything they need to know. Social Opportunities. My home is not equipped with a playground full of 30 kids, a music room or a gymnasium. I have to seek out those opportunities, but I also get to pick and choose. My football player doesn't have to learn to square dance. My ballerina doesn't have to play dodge ball. Homeschoolers can choose activities that are well suited to their children. Here is a look at homeschooling and socialization. Independence. I know I have to cut the apron strings eventually, but not when my child is only 6 years old. Rushing children to become independent causes them to rely on each other, and the blind lead the blind. Homeschooling allows parents to maintain a position of influence and only allow as much independence as their children can handle. Criticism. I was once overwhelmed when I heard negative comments about homeschooling. Now, I just laugh to myself. Here are some ways to defend yourself to those who are against homeschooling. You might overwhelm your critics with comments about why they should homeschool. Transition. Leaving home to attend public school or college is a big adjustment for parents and children. Homeschoolers who have a solid foundation in reading, writing and arithmetic typically adjust just fine. In fact, homeschooling is great at preparing children for college, as most learning in college occurs independently, outside of a classroom setting. Taxes. If my husband had written a list about the disadvantages of homeschooling, taxes would have been at the top. Texas homeschoolers are not exempt from school taxes, and unless the laws change there is no way around it. I've encouraged my husband to think of the money we pay for school taxes as a donation to public schools. 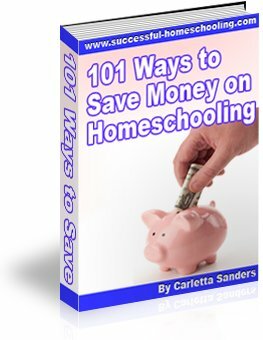 Home education is not a cure all, but you can overcome the disadvantages of homeschooling. Your children are worth the effort! Follow this link to learn more about Homeschooling Pros and Cons.